At the end of November, Cambodians across the country celebrate Bon Om Touk, which marks the end of the rainy season. Held on the full moon of the Buddhist month of Kadeuk, the celebration is one of the most important on the Cambodian calendar. As such, people across the country come together to partake in the festivities that take place for three straight days. 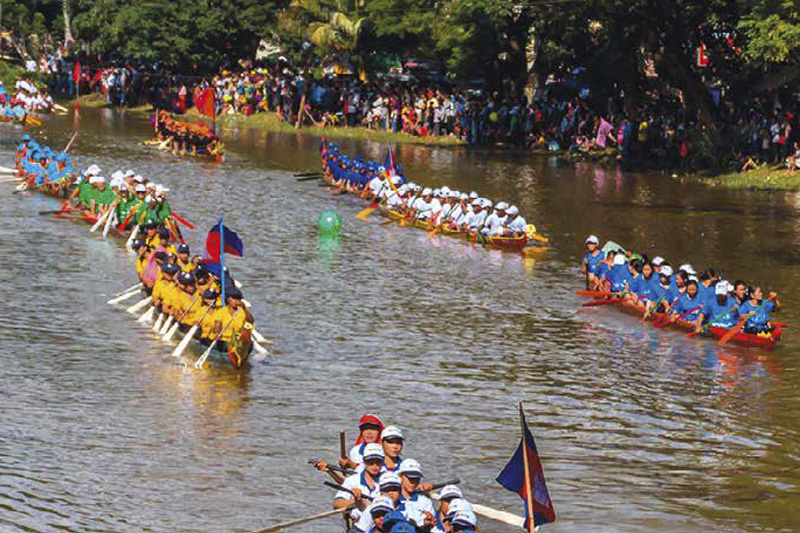 Across the nation, Cambodians celebrate Bon Om Touk with musical and dance performances as well as boat races and parades. The festival also sees local festive treats being prepared, most notably, Ak Ambok, which consists of ground rice, banana and coconut. As evening falls, illuminated boats take to the rivers lending a colourful motif to the celebration with some major towns also lighting up their skies with fireworks displays.